I wrote a story about poor Clarence who retired in 1979, and even poorer Larry who retired last year. I created these characters to challenge the notion of calculating a real interest rate by subtracting inflation. The idea is that the decline of a currency can be measured by the rate of price increases. This price-centric view leads to the concept of purchasing power—the amount of stuff that a dollar can buy. It’s the flip side of prices. When prices rise, purchasing power falls. Recall in the story, Clarence retired in 1979. At the time, inflation was running at 14% but he could only get 11% interest. Real interest was -3%, and Clarence had a problem. He was losing his purchasing power. Suppose Clarence bought gold. 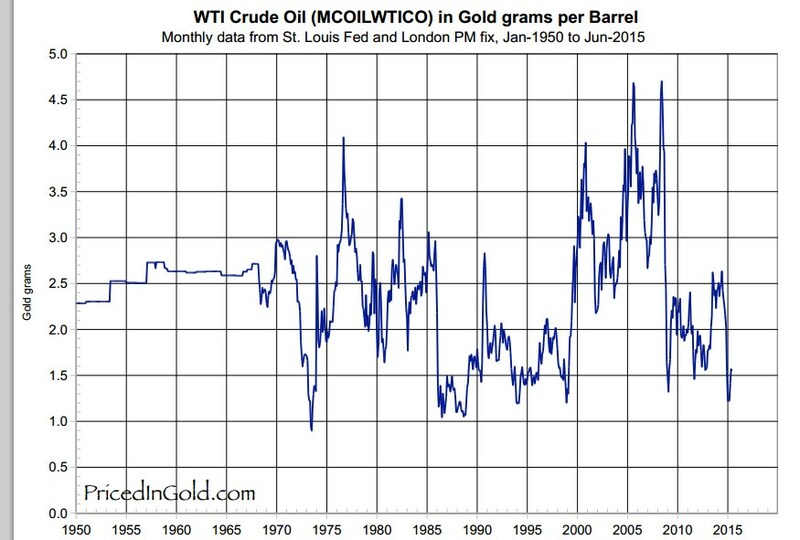 The purchasing power of gold held steady for the rest of his life (see this chart of oil priced in gold). Gold does solve this problem. However, gold has no yield. Clarence is only jumping out of the frying pan and into the fire. Sure, he escapes dollar debasement, but then he gets zero interest. Let’s look at how zero interest impacts Larry. He makes $25/month on his million dollars. Obviously he can’t live on that. So he gives up his nest egg, for eggs. For a year, he feasts on omelets. Since inflation was slightly negative, the same swap in 2015 nets him the same plus a few additional quiches. Through the lens of purchasing power, we don’t focus on the liquidation of Larry’s wealth. We ignore—or take it for granted—that he’s trading his life savings for bread. We only ask how many loaves he got. If you had a farm, would you consider trading it away, to feed your family for a year? I hope not. A farm should grow food forever. Its true worth is its crop yield, not the pile of bacon from a one-time deal. How perverse is that? It’s nothing more than what zero interest is forcing Larry to do. A dollar still buys about as much as it did last year. Larry’s purchasing power didn’t change much. However, debasement continues to wreak its destruction. Steady purchasing power does not mean that the dollar is holding its value. It means that prices are wholly inadequate for measuring monetary decay. Our monetary disaster becomes clear when we look at the collapse in yield purchasing power. 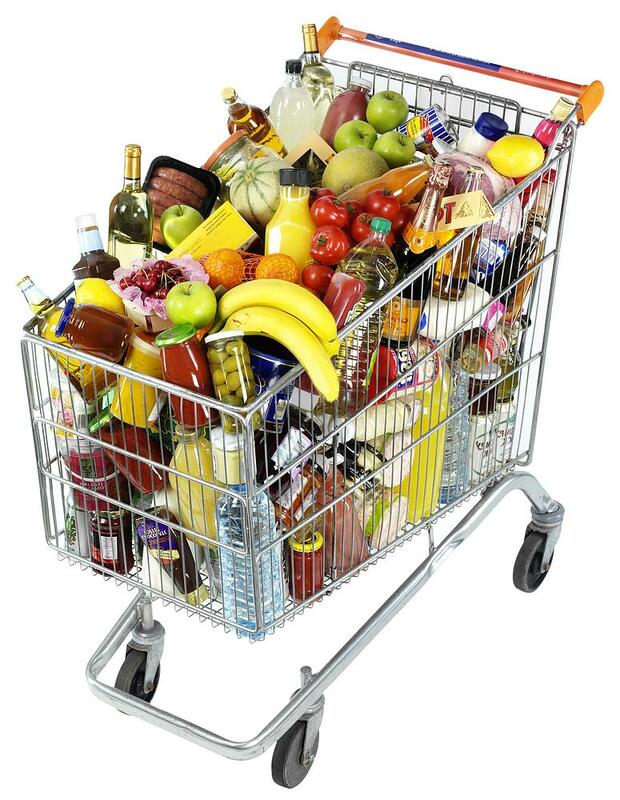 This new concept does not tell you how many groceries you can get by liquidating your capital. It tells how much you can buy with the return on it. In 1979, Clarence’s $100,000 savings earned enough to support his middle class lifestyle. In 2014, Larry’s million dollars didn’t earn enough to pay his phone bill. To live in the middle class, Larry would need over a hundred million bucks. That’s a pitiful income to make on such a massive pile of cash. It reveals a hyperinflation in the price of capital, which has gone up 1100X in 35 years. It also shows that the productivity of capital is collapsing. Back in Clarence’s day, businesses earned a high return on capital. It was high enough for Clarence to get 11% interest in a short-term CD. Unfortunately, the dollar rot is in the advanced stage now. There is scant interest to be earned. Return on capital is low, and so borrowers can’t pay much. Retirees suffer first, because they can’t earn wages. Normally they would depend on interest, but now they’re forced to live like the Prodigal Son. They consume their wealth, leave nothing for the next generation, and hope they don’t live too long. Zero interest rates has reversed the tradition of centuries of capital accumulation. Purchasing power may look fine, but yield purchasing power shows the true picture of monetary collapse.